“Don’t bother working with her you got what you got.” Distressing words—some might call advice—from a physician informing a couple, who were my friends, that their daughter was diagnosed with autism. Fortunately they ignored the physician’s advice and made every effort to beat the statistics. Their daughter, at the age of 20, was able to be part of a work program that teaches individuals to move through the job application process and interview for full-time employment with a local hospital empathetic to their daughter’s diagnosis yet appreciative of aspects of autism that made her a perfect fit for a particular position requiring attention to detail. Many children with developmental disabilities are unable to complete school or to participate in paid employment. According to the CDC (2015) one in six children aged 3-17 have one or more developmental disabilities that result from an impairment affecting physical and cognitive skills, learning ability, language skills, or behaviors. Common disabilities include intellectual disabilities, cerebral palsy, autism, Downs’s syndrome, and disabilities by other names. Parents of disabled children learn to respond to behaviors, juggle hectic therapy schedules, experience financial challenges, discrimination, and many times long waiting lists to be accepted for community services or to process social security disability or Medicaid applications. Many couples divorce as a result of the stress of the situation. Many lose friends who are unable to understand the challenges of the day to day situation of raising a developmentally disabled child. While we hear about caregivers of the sick, the elderly, and the older who are disabled, we rarely hear about caregivers of developmentally disabled children. Why? Because raising children comes with having children—and children are expected to have a long life ahead of them. The elderly are more often a topic of conversation because at end of life they represent a greater cost to the healthcare system and the benefits of extending their lives are debatable. 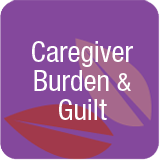 One aspect in common to most, if not all caregiving situations, is the aspect of guilt. Parents raising developmentally disabled children wonder if they should have noticed the disability earlier. Guilt may be experienced when raising children without disabilities with disabled children—are we giving enough attention to each child? Family or friends may lack empathy of the demands of the care situation. Neighbors—unfamiliar with the situation—sometimes report parents to child protective services who they believe are not appropriately caring for their own children. My first experience with developmentally disabled children was growing up in my small neighborhood in Omaha. My childhood friend was part of a large family of twelve children. To me, walking into this family’s home was no different from walking into any other friend’s home, except that there was greater than the average number of children. Two of the children were special; I’m not certain that in the early 60’s the term disabled was used over the more inappropriate and insensitive term that I recall—retarded. The family included a baby diagnosed with Down’s syndrome and an older brother diagnosed with an intellectual disability. I don’t recall any discussions about the two children being different or special by anyone in the family. In this family the disabled children were part of the family and their disabilities were talked about just like the weather forecast for the day. I don’t remember anyone in the neighborhood seeing this family as different from any other family or treating the special children different. Maybe this was a factor of different times and living in a small neighborhood where everyone knew everyone. Today people who are viewed as different are sometimes treated without dignity. I watch people lacking personal boundaries walk up to a disabled person and ask direct questions about the disability, sometimes making what they see as a supportive comment but a comment that is way off base. For example, “I wish I could get around as easily as you,” to someone in a wheelchair who might give anything to be able to walk. It’s amazing the lack of filters people possess about what questions are appropriate to ask and what questions should not be asked of strangers. I am considered an oddity because I was born with red hair. Ninety percent of people—at the gas station, walking down the street, in a store, in restaurants and just about everywhere I happen to be—do not hesitate to ask if my hair color is really red. I can only imagine the questions if I had only one arm, one leg, or some other type of disability. Sensitivity, empathy, and compassion are sometimes absent from individuals unfamiliar with the role of caregiver and the challenges of being a caregiver. 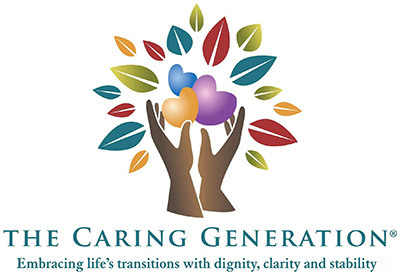 In my role as a professional caregiver and advocate, I serve as guardian, power of attorney, and care manager for both the elderly and the developmentally disabled. I can honestly say that working with each population requires very different skills. My developmentally disabled clients have aged into their 50’s. To the general population they may appear as any other 50-year old, however intellectually they may be at the age of a 6 or a 10 year-old. This appearance of being older—yet not really being older—places them at risk for the general population to assume they are more able than their appearance presents. Many benefit from daily assistance with hygiene, dressing, toileting, and regular activities. By this age some developmentally disabled children remain living with their parents, some are in the community in supported living environments, apartment with supervision, or living in group homes. The looming question by this time is—when something happens to the parent, who will care for the son or daughter? Sometimes a family member is appointed, other times professionals like me are appointed, or as a last resort county social services becomes the responsible party. It is important for parents to plan for the eventuality of their passing and to identify a person or persons who will continue to provide oversight for the care of their aging children. The caregiving world of parents for the developmentally disabled is challenging for many reasons. These children benefit from parenting and community services able to teach daily life skills that many of us take for granted. Some children are able to attend school and work; others may never have the ability to finish school or work; yet they have many years ahead where some type of daily care or oversight and financial support is required. Many states have long wait lists for developmental disability waiver and similar programs. The parents of disabled children, often called the invisible caregivers, continue to caregive for years to ensure that their children have access to the best care and community programming that is available. Not all parents have the skills to advocate appropriately; not all parents have the financial resources to provide the additional care required by their children. Support exists if one is willing to search for the information. How might parents with a disabled child manage and support a normal family life when there are non-disabled children in the family—is this even possible? What insights might be helpful for parents of disabled children who feel separated or isolated from general society because they have a child who is different? How might others view parents and disabled children whose behaviors may not be viewed as appropriate? What single support contributes to the overall caregiving situation that many individuals and most families find difficult to accept? How might caregivers survive without compromising their own physical and mental health? Be HONEST and realistic about the diagnosis with yourself, your family, your child, and others. Never be embarrassed about your family, the care situation, or the diagnosis—there are many others in a similar situation who understand. If others respond inappropriately their behaviors and reactions are their responsibility—not yours. Denial is a dangerous road and is not helpful to the care and well-being of the person with the diagnosis. While some families may desire privacy, hiding a family member from interaction with others under the guise of being protective is not supportive of the individual becoming as independent as possible over the long term. I know many individuals who were sheltered by their parents and who struggle in their 50’s to acquire and learn the simple skills of daily hygiene and appropriate social interactions with others. In retrospect, attempts of parents to shelter their children, who are now older, has resulted in greater stress experienced by these children when parents pass away and they are forced to face the day-to-day reality of becoming independent. Seek KNOWLEDGE and insight make the role of caregiving easier. Often day-to-day responsibilities, last minute crises, and minute-to-minute caregiving tasks take priority over time for self-education, learning, or attending support groups that offer strategies for managing day to day challenges. Admittedly time poverty exists—how can I or we find a single minute to devote to something other than direct care tasks? Find the time. In the world of the developmentally disabled, understanding behaviors, appropriately responding to behaviors, and identifying the reasons or the triggers of the behavior is imperative to self-preservation and successful family relationships. Time spent in gaining insight and understanding of aspects of the particular diagnosis supports a long term strategy for caregiving and is a significant time saver to resolving situations earlier than years down the road. Why repeat challenging situations when knowledge is a powerful antidote? The pluses of autism are also at times challenges. Tracie clearly describes her daughter’s abilities: “Taylor is a sound and logical thinker (she speaks with unemotional and indisputable facts), she is very observant (sensory) about her surroundings, has enduring will power, and a powerful memory.” These traits have both a positive and a negative side for interacting with Taylor and are similar to what many parents may experience in the interaction with their children who are developmentally disabled. The challenge of sound logic and enduring will power is the potential to result in an almost endless amount of time debating subjects or expressing opposing opinions. This aspect of the developmentally disabled may be compared to an individual diagnosed with a brain injury that views the world in black and white and often is unable to compromise. This aspect can be exhausting for the parents or siblings of a developmentally disabled individual and equally as frustrating for family members of an individual who has suffered a brain injury. Heightened sensory abilities results in being easily distracted making it difficult to concentrate on any single activity and being in constant motion from one topic to another, moving from one activity to another. With will power comes the difficult task of breaking a habit that may not have positive results. Possessing a strong memory results in telling everyone else what they are doing wrong or differently than what has been seen in the past. Directness outweighs sensitivity. As caregivers of the developmentally disabled are able to recognize these behaviors and traits— including the positive and negative aspects—communication and interaction become easier due to increased understanding of the individual. This does not mean at all that behaviors are not challenging. Learning appropriate responses supports ease of daily interaction and reduces the emotional stress of the caregiving situation. Many times caregivers fail to realize that the behavior of the caregiver is a trigger for the behavior for a child with a developmental disability. This is insight is also relevant to caregivers of persons with Alzheimer’s disease; many times the caregiver or the environment causes the behavior. .
Find the HUMOR. Humor and laughter are essential to caregiving situations. There are times when it is necessary and okay to step back and laugh—sometimes hysterically—at the repetitive questions and behaviors, or situations that are embarrassing but humorous. I recall a time in the bathroom of a physician’s office attempting to obtain a urine sample from one of my clients who said with a smile, “it’s hell to get old and need help with this type of thing.” We were laughing so hysterically that I’m certain others outside of the bathroom were wondering what we were doing. Other examples: wearing clothes that don’t match or are inappropriate for the weather—but I’m dressed so what’s the problem? There is also the challenge of understanding the feelings of the person with the disability—this is what my mad face looks like or I hit my arm when I’m frustrated with you. Also existing is the challenge of the disabled person being able to understand the feelings of others or how their words or statements might offend others—that’s an ugly baby. Just as with some older adults diagnosed with Alzheimer’s disease who lack filters for appropriate conversation or social skills, the words of the developmentally disabled are simply stated without thought of the effect on others. Then there are the confusing conversations that arise because many of us use figures of speech like “it’s raining cats and dogs.” Persons with developmental disabilities have no idea how to relate to these illogical statements. Tracie calls these repetitive questions and behaviors from her daughter “Taylorisms.” Her family has come to understand and to embrace the sometimes challenging, sometimes amusing, and sometimes totally honest expressions and behaviors of her daughter which others may not understand or appreciate. ACCEPT help. Know that it is imperative to seek help from others in similar situations and then to accept the help offered. The idea of accepting help for many caregivers is challenging because many believe that they have to “do it all.” No one single caregiver, regardless of the situation, can do it all without damaging their own physical health and mental well-being. Never let another person tell you “don’t bother” or “he or she is too old” or a long list of insensitive statements that make you as a caregiver feel hopeless or hesitant to aggressively advocate for a loved one. Over the years I continually meet physicians with poor bedside manner who believe that a person is undeserving of medical care, “after all he’s 95.” I meet others lacking caregiving experience offering unsolicited advice but no support. Until a person has walked in your shoes it is difficult to understand your daily reality. Gain the knowledge to be an advocate or hire the services of an advocate. Advocacy is a learned skill. Advocacy takes courage. Do bother to become more knowledgeable, more honest, more accepting of help, and find joy in the humorous situations that one might find frustrating at times. Caregiving is not for the timid—be visible and share what you have learned with others.